The question I get most often is where do my design inspirations come from. 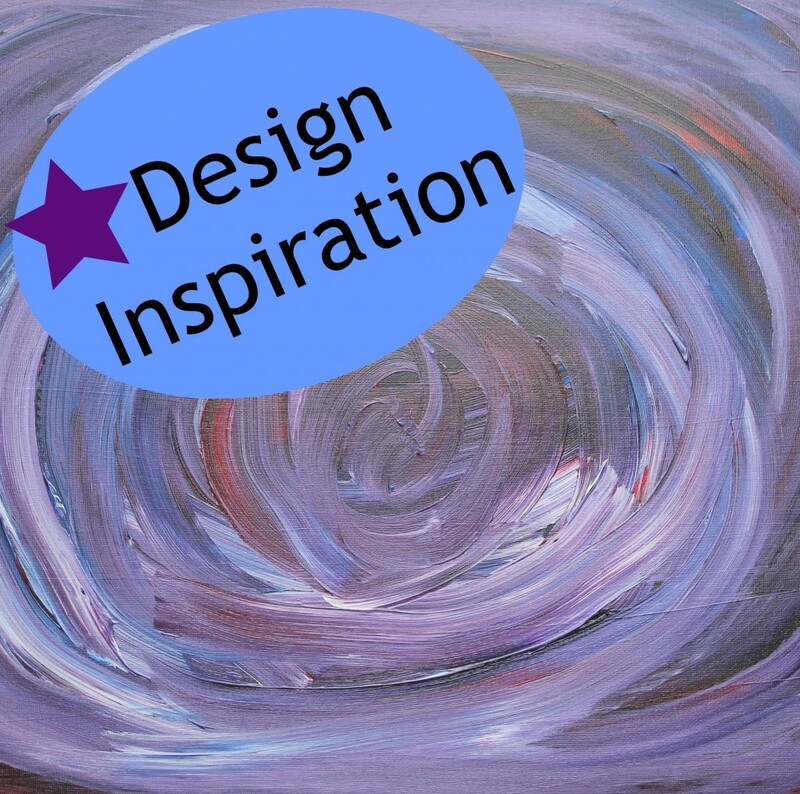 So often that I’ve started this regular feature here on my blog to hopefully inspire you as well. Did you ever have a shape that was all around you in various ways? Probably you never actually thought about it before because I didn’t really either. I was doing an online journal course and one day we were told to write or draw different symbols that often appear in our lives. That’s when I realized that spirals are all around for me. When I paint, I often paint spirals. The artwork I have hanging in my home from other artists often include spirals. When I mindlessly doodle, it’s often spirals. I love looking at spirals and creating them. I often make jewelry that have spirals as well. Think about shapes that you like and you are drawn to. It could be any shape at all. What shapes are in your home decoration? What do you doodle when you’re talking on the phone? If you do any other arts or crafts, what shapes come out? Now, how can you incorporate that shape into your jewelry designs? It could be as simple as using a bead that is that shape in your designs. Or maybe you will make those shapes with wire in different ways. Maybe your overall jewelry piece will be in that special shape when it’s complete. Maybe you’ll need to work with the shape and transform it to make it into something you can use in your designs. Have fun and get creative with it! 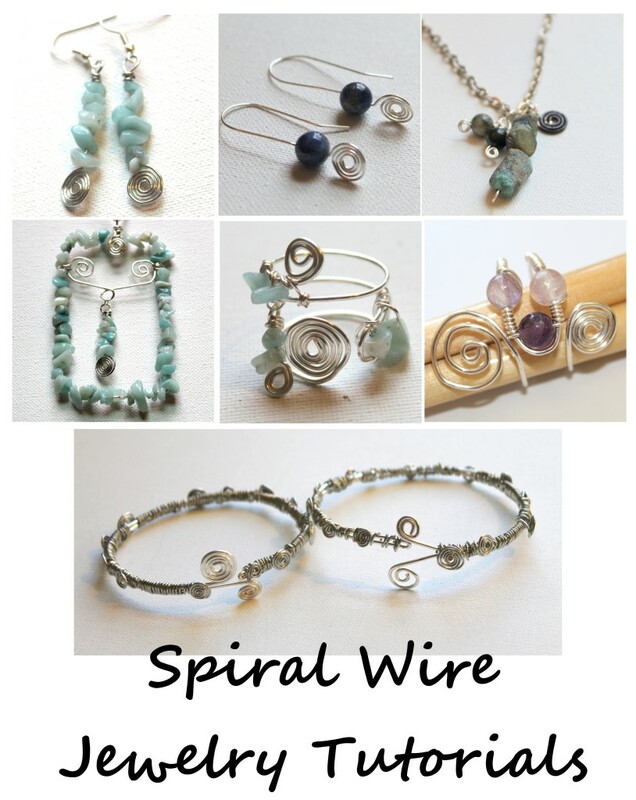 If spirals are your favorite shape, too, then you’d love the Spiral Wire Jewelry eBook. 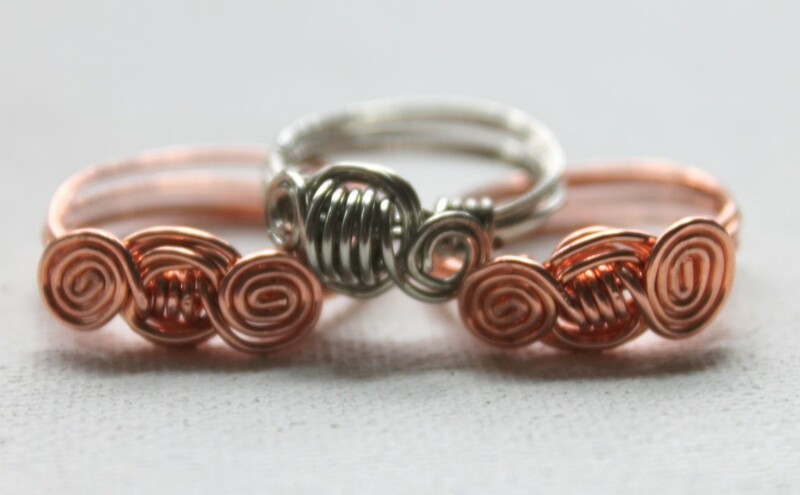 I teach you how to make two different spirals with wire and then you get 7 jewelry projects to make! Click here to learn more and to purchase for instant download. 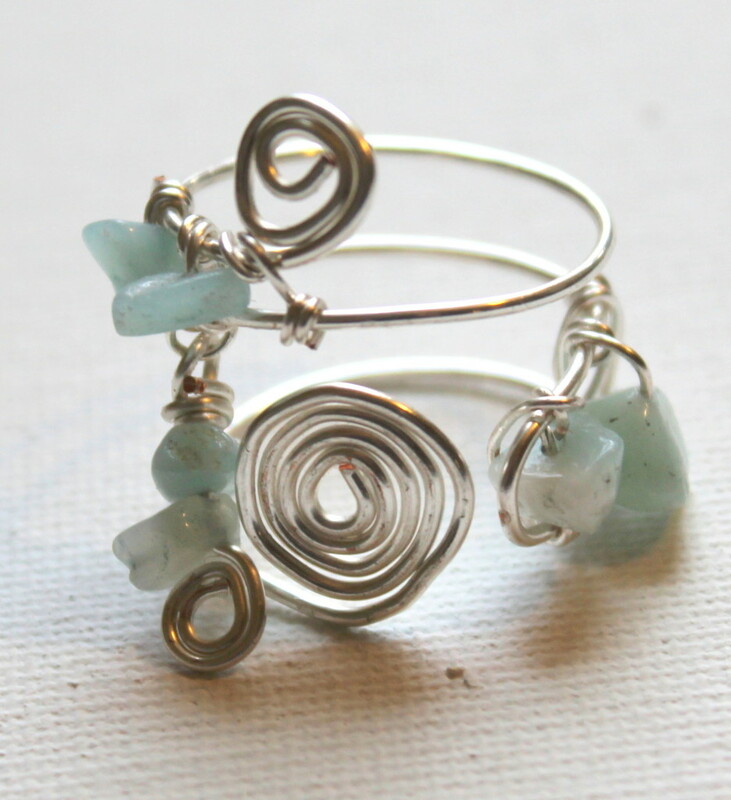 This entry was posted in Creativity, Inspiration and tagged Design Inspiration, emerging creatively tutorials, how to make jewelry, spiral wire jewelry by Kimberlie. Bookmark the permalink.